Gudrun Talks to Sema Coşkun who at the moment of the conversation in 2018 is a Post Doc researcher at the University Kaiserslautern in the group of financial mathematics. She constructs models for the behaviour of energy markets. How are classical markets modelled? In which way are energy markets different and need new ideas? The seminal work of Black and Scholes (1973) established the modern financial theory. In a Black-Scholes setting, it is assumed that the stock price follows a Geometric Brownian Motion with a constant drift and constant volatility. The stochastic differential equation for the stock price process has an explicit solution. Therefore, it is possible to obtain the price of a European call option in a closed-form formula. Nevertheless, there exist drawbacks of the Black-Scholes assumptions. The most criticized aspect is the constant volatility assumption. It is considered an oversimplification. Several improved models have been introduced to overcome those drawbacks. One significant example of such new models is the Heston stochastic volatility model (Heston, 1993). In this model, volatility is indirectly modeled by a separate mean reverting stochastic process, namely. the Cox-Ingersoll-Ross (CIR) process. The CIR process captures the dynamics of the volatility process well. However, it is not easy to obtain option prices in the Heston model since the model has more complicated dynamics compared to the Black-Scholes model. In financial mathematics, one can use several methods to deal with these problems. In general, various stochastic processes are used to model the behavior of financial phenomena. One can then employ purely stochastic approaches by using the tools from stochastic calculus or probabilistic approaches by using the tools from probability theory. On the other hand, it is also possible to use Partial Differential Equations (the PDE approach). The correspondence between the stochastic problem and its related PDE representation is established by the help of Feynman-Kac theorem. Also in their original paper, Black and Scholes transferred the stochastic representation of the problem into its corresponding PDE, the heat equation. After solving the heat equation, they transformed the solution back into the relevant option price. As a third type of methods, one can employ numerical methods such as Monte Carlo methods. Monte Carlo methods are especially useful to compute the expected value of a random variable. Roughly speaking, instead of examining the probabilistic evolution of this random variable, we focus on the possible outcomes of it. One generates random numbers with the same distribution as the random variable and then we simulate possible outcomes by using those random numbers. Then we replace the expected value of the random variable by taking the arithmetic average of the possible outcomes obtained by the Monte Carlo simulation. The idea of Monte Carlo is simple. However, it takes its strength from two essential theorems, namely Kolmogorov’s strong law of large numbers which ensures convergence of the estimates and the central limit theorem, which refers to the error distribution of our estimates. Electricity markets exhibit certain properties which we do not observe in other markets. Those properties are mainly due to the unique characteristics of the production and consumption of electricity. Most importantly one cannot physically store electricity. This leads to several differences compared to other financial markets. For example, we observe spikes in electricity prices. Spikes refer to sudden upward or downward jumps which are followed by a fast reversion to the mean level. Therefore, electricity prices show extreme variability compared to other commodities or stocks. For example, in stock markets we observe a moderate volatility level ranging between 1% and 1.5%, commodities like crude oil or natural gas have relatively high volatilities ranging between 1.5% and 4% and finally the electricity energy has up to 50% volatility (Weron, 2000). Moreover, electricity prices show strong seasonality which is related to day to day and month to month variations in the electricity consumption. In other words, electricity consumption varies depending on the day of the week and month of the year. Another important property of the electricity prices is that they follow a mean reverting process. Thus, the Ornstein-Uhlenbeck (OU) process which has a Gaussian distribution is widely used to model electricity prices. In order to incorporate the spike behavior of the electricity prices, a jump or a Levy component is merged into the OU process. These models are known as generalized OU processes (Barndorff-Nielsen & Shephard, 2001; Benth, Kallsen & Meyer-Brandis, 2007). 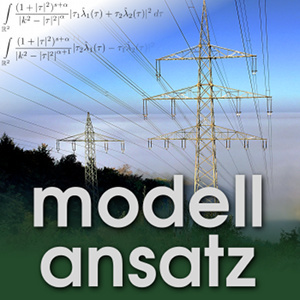 There exist several models to capture those properties of electricity prices. For example, structural models which are based on the equilibrium of supply and demand (Barlow, 2002), Markov jump diffusion models which combine the OU process with pure jump diffusions (Geman & Roncoroni, 2006), regime-switching models which aim to distinguish the base and spike regimes of the electricity prices and finally the multi-factor models which have a deterministic component for seasonality, a mean reverting process for the base signal and a jump or Levy process for spikes (Meyer-Brandis & Tankov, 2008). The German electricity market is one of the largest in Europe. The energy strategy of Germany follows the objective to phase out the nuclear power plants by 2021 and gradually introduce renewable energy ressources. For electricity production, the share of renewable ressources will increase up to 80% by 2050. The introduction of renewable ressources brings also some challenges for electricity trading. For example, the forecast errors regarding the electricity production might cause high risk for market participants. However, the developed market structure of Germany is designed to reduce this risk as much as possible. There are two main electricity spot price markets where the market participants can trade electricity. The first one is the day-ahead market in which the trading takes place around noon on the day before the delivery. In this market, the trades are based on auctions. The second one is the intraday market in which the trading starts at 3pm on the day before the delivery and continues up until 30 minutes before the delivery. Intraday market allows continuous trading of electricity which indeed helps the market participants to adjust their positions more precisely in the market by reducing the forecast errors. S. Coskun and R. Korn: Pricing Barrier Options in the Heston Model Using the Heath-Platen estimator. Monte Carlo Methods and Applications. 24 (1) 29-42, 2018. S. Coskun: Application of the Heath–Platen Estimator in Pricing Barrier and Bond Options. PhD thesis, Department of Mathematics, University of Kaiserslautern, Germany, 2017. S. Desmettre and R. Korn: 10 Computationally challenging problems in Finance. FPGA Based Accelerators for Financial Applications, Springer, Heidelberg, 1–32, 2015. F. Black and M. Scholes: The pricing of options and corporate liabilities. The Journal of Political Economy, 81(3):637-654, 1973. S.L. Heston: A closed-form solution for options with stochastic volatility with applications to bond and currency options. The Review of Financial Studies, 6(2):327–343, 1993. R. Korn, E. Korn and G. Kroisandt: Monte Carlo Methods and Models in Finance and Insurance. Chapman & Hall/CRC Financ. Math. Ser., CRC Press, Boca Raton, 2010. P. Glasserman, Monte Carlo Methods in Financial Engineering. Stochastic Modelling and Applied Probability, Appl. Math. (New York) 53, Springer, New York, 2004. M.T. Barlow: A diffusion model for electricity prices. Mathematical Finance, 12(4):287-298, 2002. O.E. Barndorff-Nielsen and N. Shephard: Non-Gaussian Ornstein-Uhlenbeck-based models and some of their uses in financial economics. Journal of the Royal Statistical Society B, 63(2):167-241, 2001. H. Geman and A. Roncoroni: Understanding the fine structure of electricity prices. The Journal of Business, 79(3):1225-1261, 2006. T. Meyer-Brandis and P. Tankov: Multi-factor jump-diffusion models of electricity prices. International Journal of Theoretical and Applied Finance, 11(5):503-528, 2008. R. Weron: Energy price risk management. Physica A, 285(1-2):127–134, 2000.